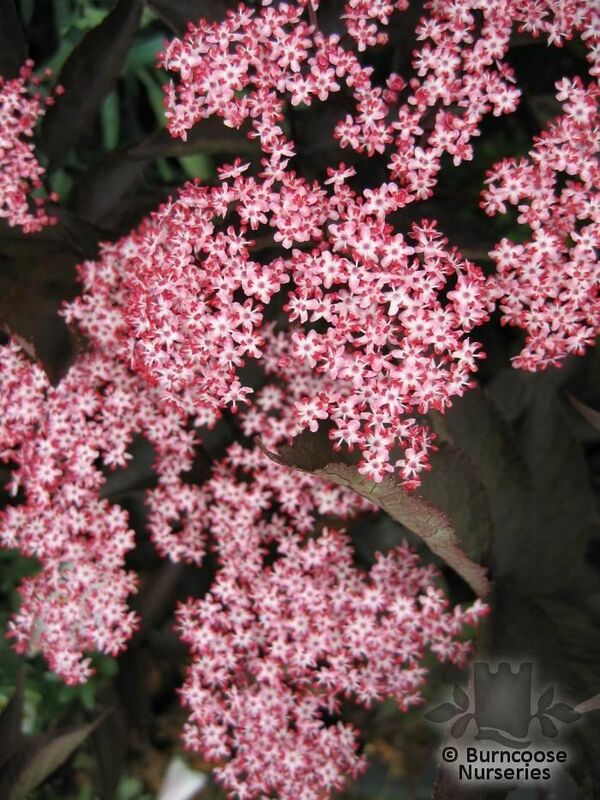 Mainly ornamental but can be planted to support native butterfly and bird species. 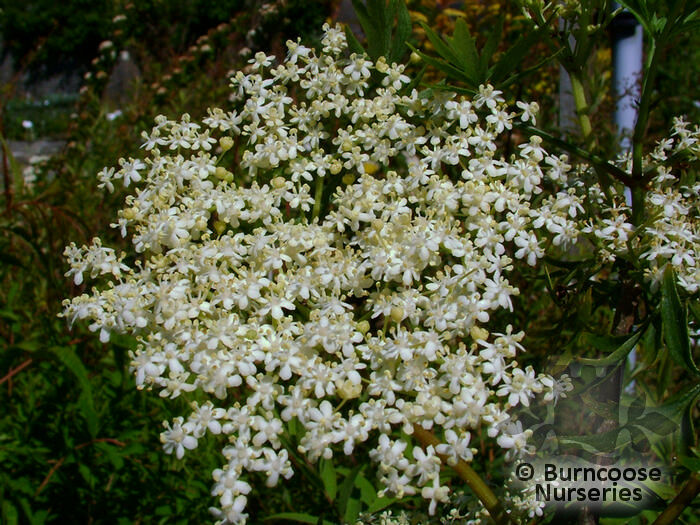 Native elder, S. nigra has been used medicinally throughout history and is well-known as various syrups and drinks. A small tree of disturbed ground especially around farmsteads and old cottages where it thrives in nitrogen-rich soil. A perennial, S. ebulus, Danewort, and probably native can be found scattered throughout the UK on roadsides and waste places. Genus of about 10 species of herbaceous perennials and deciduous shrubs and trees from woodlands and thickets in temperate and subtropical regions of Eurasia, N and tropical E. Africa, Australia and North and South America. 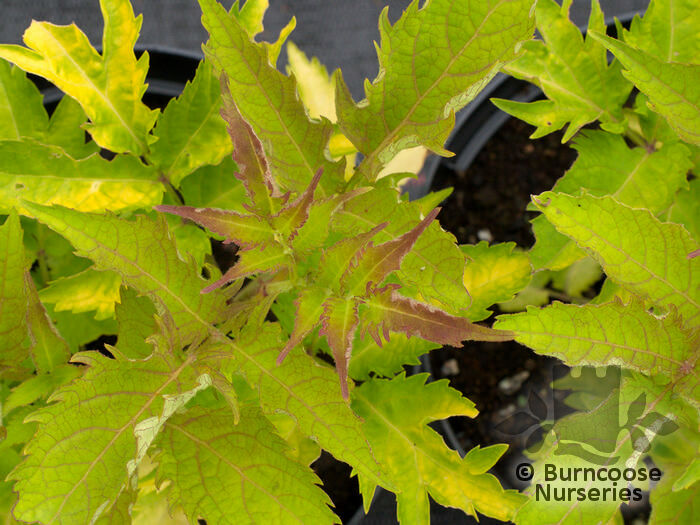 Pests & Diseases - blackfly infest young shoots. Verticillium wilt. 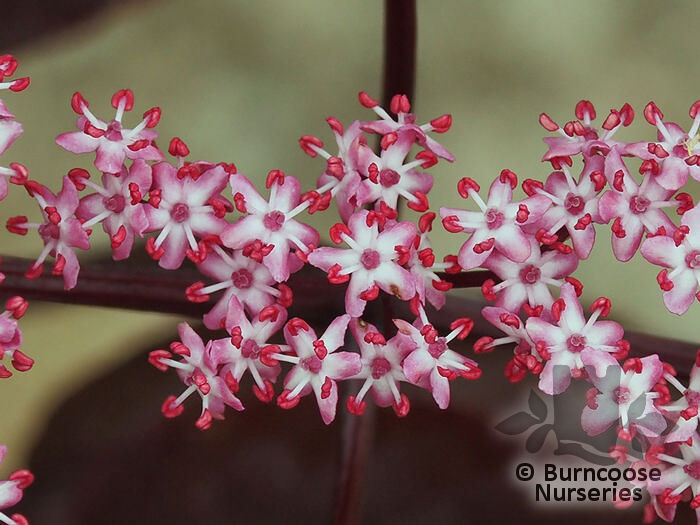 Commonly known as: Black elder, Common elder, Pipe tree. 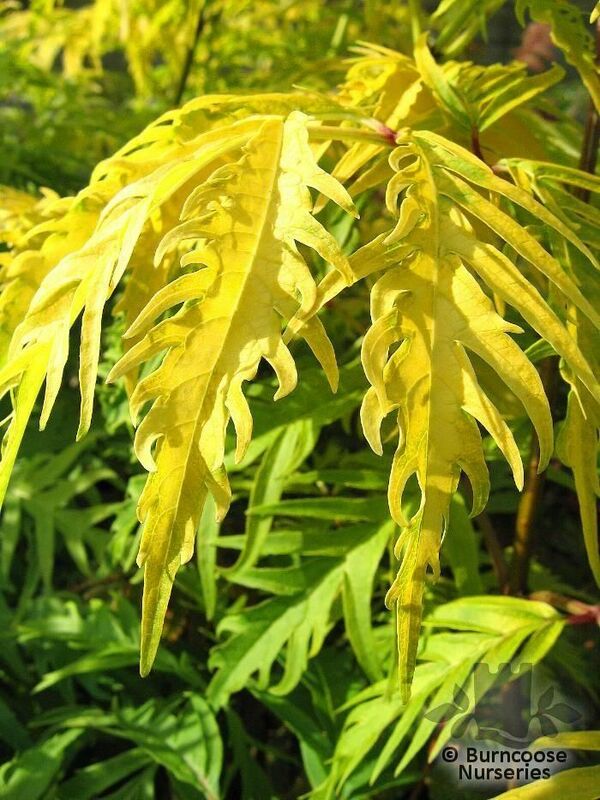 Commonly known as: Golden elder. Commonly known as: Common elder. 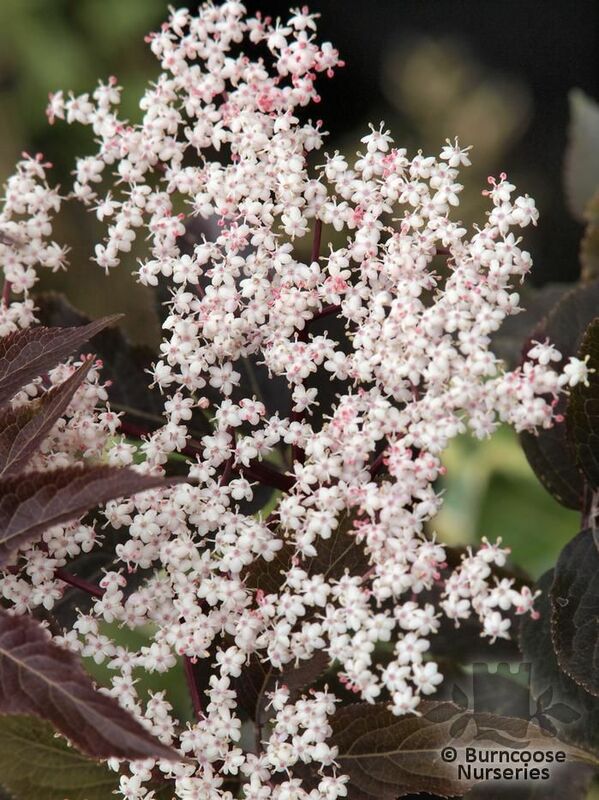 Dramatic dark purple, nearly-black foliage and dissected leaves like a Japanese maple. 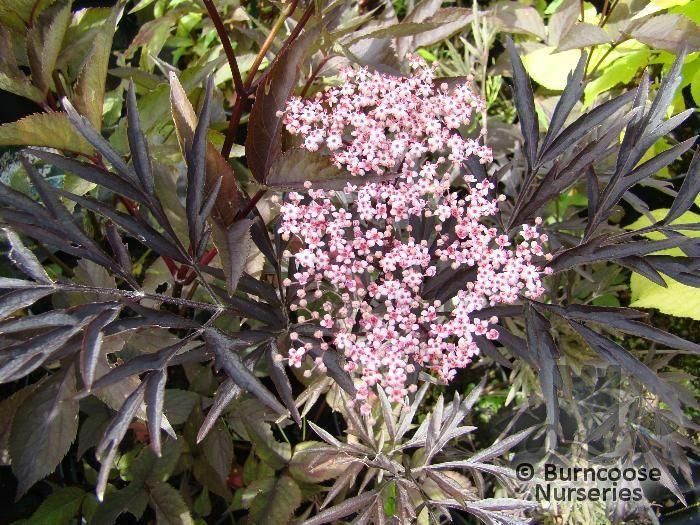 Commonly known as: Purple-leaved elder. 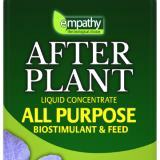 Commonly known as: Cut-leaved elder, Fern-leaved elder. 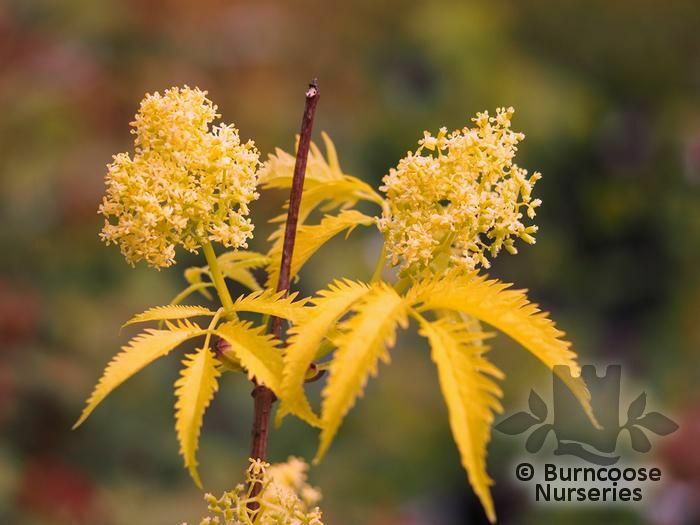 Commonly known as: Golden elder, Red-berried elder.